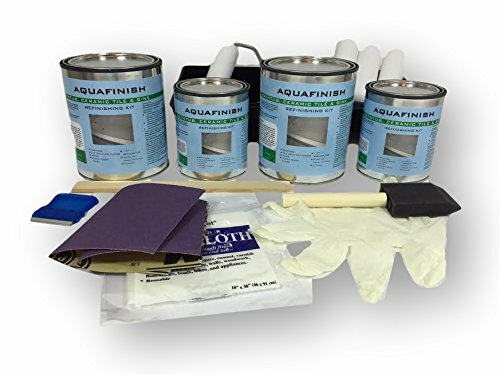 Save thousands by refurbishing your own bathtub, tile walls, floors, and sinks with this do it yourself kit. Why wait for weeks will a contractor tears out and redoes your old bathtroom when with a little elbow grease you can make it look almost as good in a day? With have helped thousand of folks update their bath rooms with this coating and it is durable and lasts for years. Do it yourself in a day, save thousands of dollars. Much easier and better than spraying on. If you have any questions about this product by AquaFinish, contact us by completing and submitting the form below. If you are looking for a specif part number, please include it with your message.